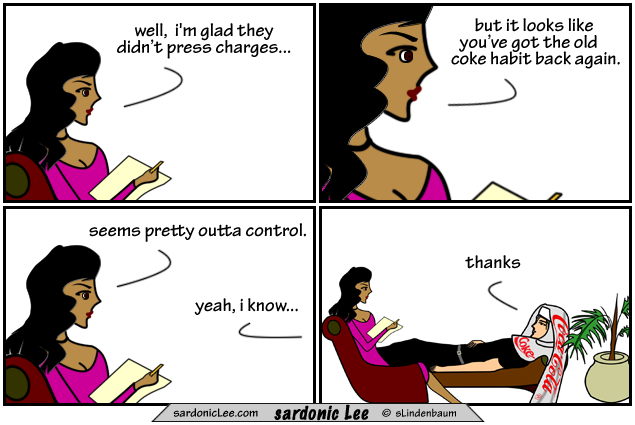 coke habit!!! I love this!!! LOL, Hey, that’s why Lee is in therapy?! At least your sitting down. :) Love the outfit. I think you may have a few habits to kick, Mr. Lee. could serve double duty as an outfit for a gay pride parade . . .
Charlie Sheen should wear one of those for his show!